Want to unlock Mi max or want to connect any Xiaomi phone to the PC. So at this time you need a proper and working Xiaomi USB Drivers. If the right USB drivers for Xiaomi phones are not installed on you PC, then you will face a lot of problems like the device isn’t recognized on my computer, doesn’t recognize the device under fastboot mode, etc. So in simple words, xiaomi USB driver for windows are so important to lots of tasks on the phone. So to connect your MI Max, Redmi Note 3 and Any Other Xiaomi Phone to the PC you need the USB drivers. And most of the Xiaomi phone users are looking for these drivers and worries how to install the Windows PC. 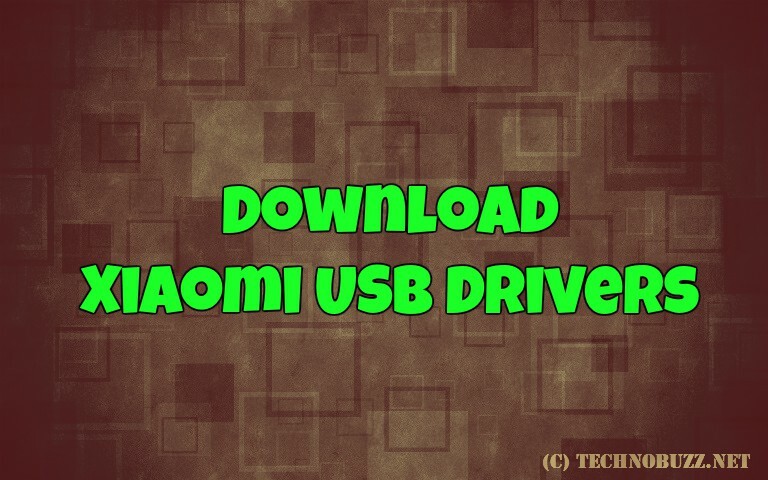 Don’t worry here is the complete tutorial which you can follow on your phone and install the latest and updated Xiaomi Drivers on your Windows PC. This tutorial is only for the Xiaomi Phone users and works on any Xiaomi Phones whether it Mi Mix, Redmi 3S, Redmi Note 3, etc. All you have to run an exe file on your Windows PC and you are done. Simply download the package, install it and then use it to connect your Xiaomi device to your computer. If the above mention method does not work you, don’t worry here is another way to setup the Xiaomi USB driver son your Windows PC. Xiaomi USB Drivers comes in .exe installer format (inside .zip file). Run the exe file on your system and reboot your PC and You are done. Download the Zip file from the below mention link and extract the folder on your desktop. Rin the file once on your Windows PC and the USB drivers are successfully installed. I want to ask you that after doing fastboot my data will recover or not ?? Because there are photos of my grandma’s in the phone and she is no more.so I can’t loose those photos I want that photos back… Please tell me sir how can I get those photos back.